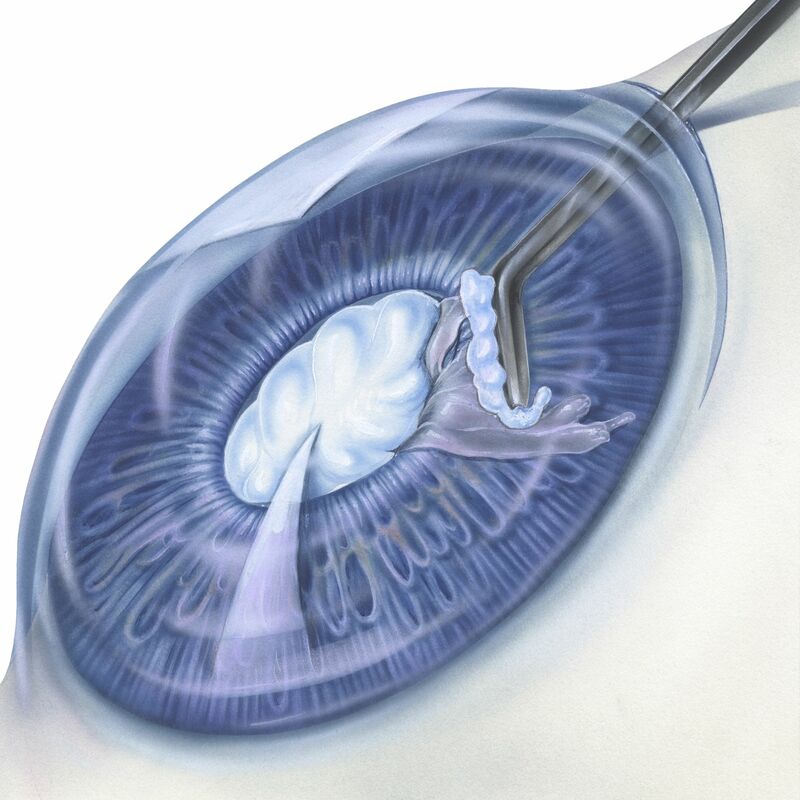 Cataract surgery is a safe and effective procedure. At Southwest Eye Care in Bakersfield, CA, Dr. Gregory Stainer offers laser cataract surgery and premium intraocular lenses to restore patient’s vision. Before patients commit to surgery, we want them to have all the relevant facts before making any medical decision. With that in mind, here is an overview of cataract surgery statistics. Cataracts are the most common cause of vision impairment for people over 40, followed by glaucoma and macular degeneration. Cataracts affect more than 24.4 million Americans age 40 and older, according to the American Academy of Ophthalmology. Inherited genetic disorders can increase the risk of cataracts. Past eye surgery, eye injury, diabetes, overuse of steroids, and overexposure to ultraviolet radiation from the sun can also raise your chances of developing cataracts. Heavy drinking and smoking are also considered risk factors for developing cataracts. Improvements in vision are generally noticeable within a few days of cataract surgery. Immediately following the procedure, blurry vision is common as the eye heals and adjusts. According to the American Society of Cataract and Refractive Surgery (ASCRS), the success rate of cataract surgery is 98 percent in the United States. By age 75, approximately half of all Americans will develop cataracts, although the degree of vision loss varies widely. In 2010, a majority of people with cataracts in the United States were white (80 percent), 8 percent were black, and 7 percent were Hispanic, according to the National Eye Institute. According to the same report, 68 percent of individuals with cataracts that year were 80 and older while only 2.5 percent of people in the United States between the ages of 40 and 49 had cataracts. During cataract surgery, your cloudy natural lens is replaced with a clear artificial lens called an intraocular lens. The cost of your cataract surgery will vary depending on several factors, including the severity of the cataract, the type of lens you will need, and whether or not you need relaxing incisions. When considering the cost of cataract surgery, remember that our clinic offers multiple treatment packages and financing options through CareCredit and Chase Health Advance. We also offer laser cataract surgery. The benefits of this procedure over traditional cataracts surgery include increased accuracy, reduction in post-operation aberrations (halo and glare), and less irritation to the eye during surgery. Southwest Eye Care and Laser uses state-of-the-art laser technology to correct vision. Dr. Stainer established the first LASIK clinic in Bakersfield and continues to be a leader in the field. He has published several articles on eye care and is renowned for the quality of his work. For more information about vision correction through cataract surgery, be sure to contact the doctors at Southwest Eye Care and Laser. You can reach our team online or by calling (661) 393-2331 or (661) 833-4040.